I love a special salad during the holidays. 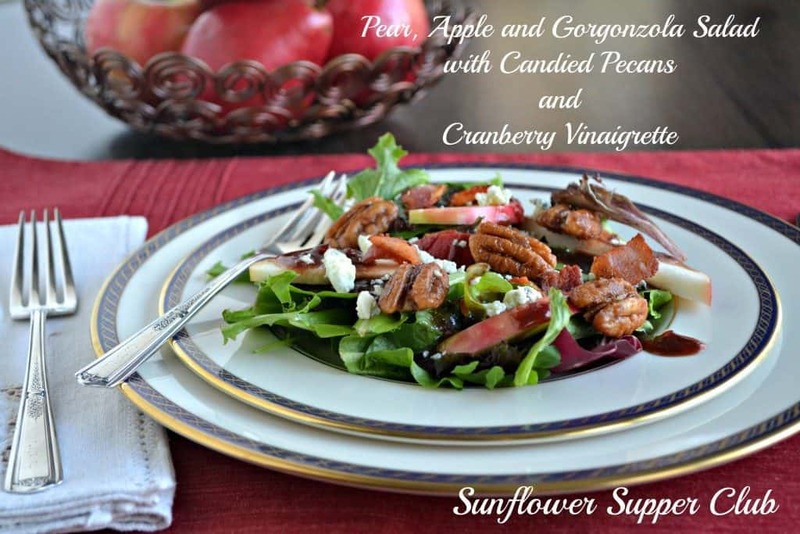 If you are a fan of cranberry flavor, you will love this salad. It has a tart, sweet, and salty thing going on, which I love. Whisk well until thoroughly combined. In a medium sized skillet over medium-low heat, melt the butter and add the rest of the ingredients. Cook about 7 minutes, until the syrup caramelizes and the pecans are brown. Transfer to a plate lined with wax paper to cool. Toss lettuce in a large bowl with the dressing. You will probably have some left over. Divide the lettuce between 8 plates. 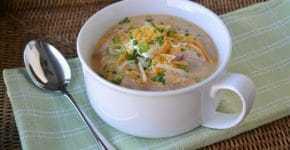 Mix the 2 tablespoons orange juice with the pear and apple slices and divide evenly between the salads. Top each salad with Gorgonzola cheese, Craisins, and bacon. I am in love with the raspberry vinaigrette, I can only imagine what the cranberry would be like. I can’t wait to try this. Thank you for sharing at Foodie Friends Friday. I was all ready liking this salad, then I read the recipe for the killer dressing. OMGoodness, I love this salad!